Normally, there are two standard methods of achieving victory in Yu-Gi-Oh. Most commonly, reduce your opponent's 8,000 Life Points to zero. Or, if your opponent's deck runs out of cards, and it's their turn to draw, you win. These two conditions end almost every duel. But did you know that several cards have the capability of declaring an automatic win? Of course, there are limits on using their power; today, we'll countdown six unorthodox methods of winning duels! First up, we have the mighty Vennominaga. 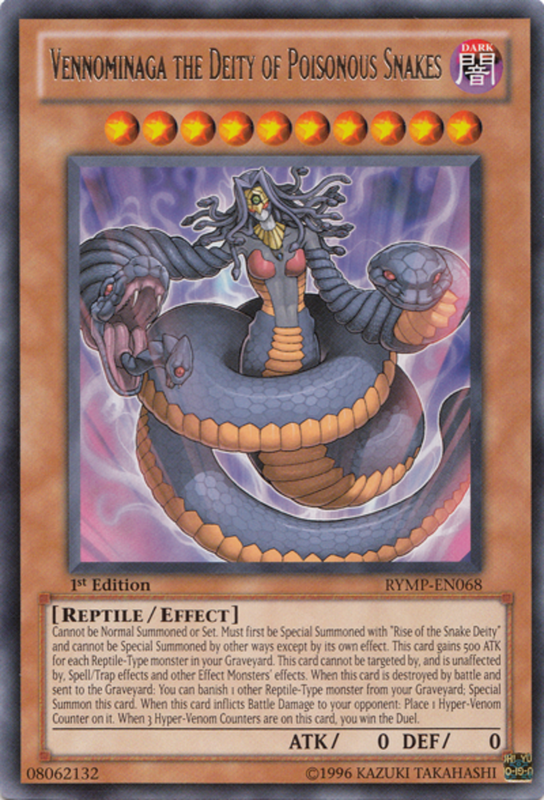 This Reptile-type monster can only be summoned by using the effect of the trap Rise of the Snake Deity; this card requires you to have the monster Vennominom the King of Poisonous Snakes already out on your field. 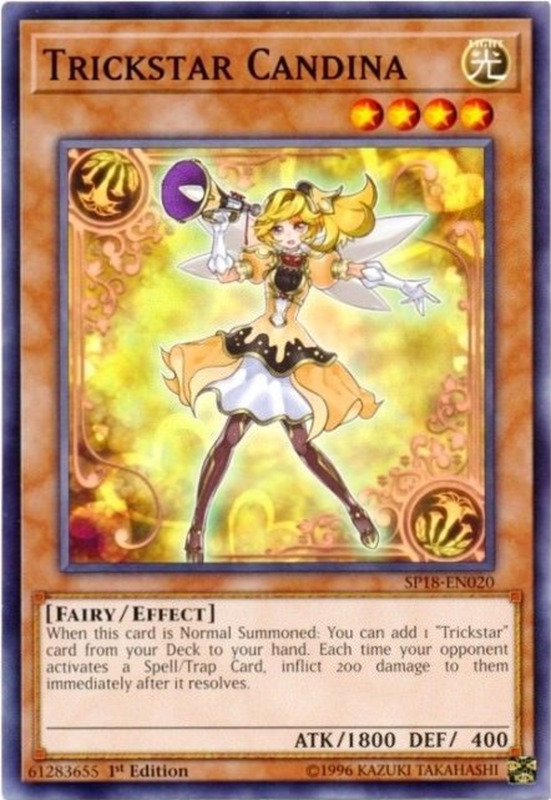 Each time Vennominaga inflicts damage to an opponent's Life Points, she gains a counter. Once she's acquired three of these counters, you win! Vennominaga isn't easy to call out. But once she's played, she's almost unbeatable. Her resistances making her immune to everything but battle; keep your Graveyard full of Reptiles to boost her Attack. Rating: 3/5. Incredibly powerful, but difficult to summon, and less effective in non-Reptile decks. Next, we have the trap Last Turn. It brandishes a mighty effect you can only activate when your Life Points are 1000 or less. When played, you select one monster on your field. Every other card on the field and in your hand is destroyed. Your opponent picks one monster from their deck, and summons it. The two selected monsters battle, and if one can destroy the other, the remaining monster's owner wins. In any other circumstance, the duel ends as a draw. 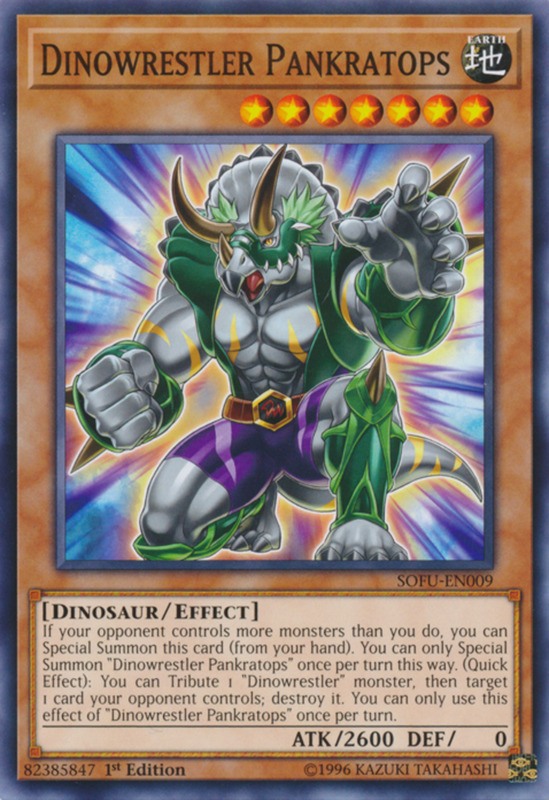 Essentially, this card works great if you're confident your monster has a higher attack than the ones in your rival's deck, and can turn a sticky situation into an instant victory. Rating: 3/5. Powerful effect, but risky, and only able to used when Life Points are very low. 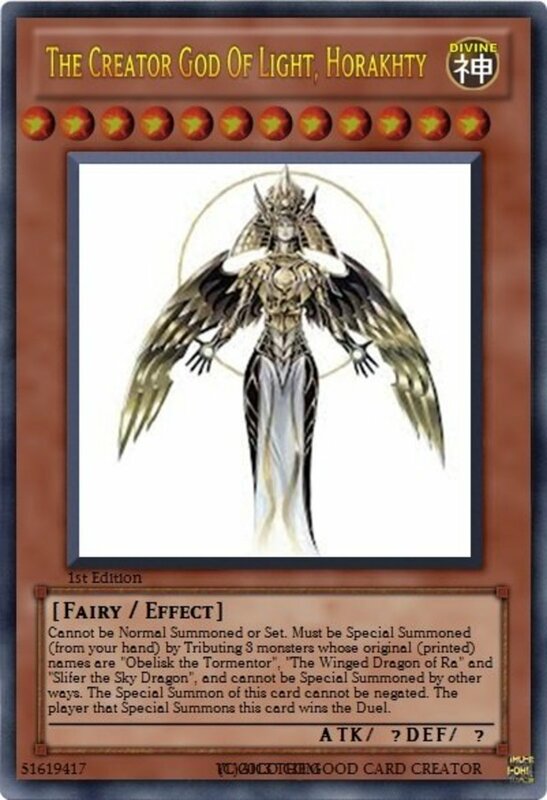 Fourth place is awarded to the fused form of the three legendary Egyptian God cards: The Creator God of Light, Horakhty. This card's effect is simple: Summon it, and you win. Instantly. The downside? 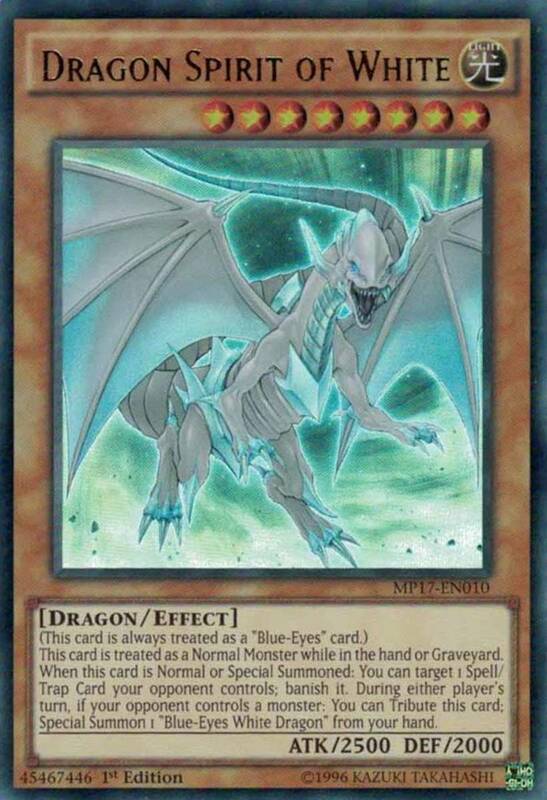 You can only summon Horakhty by sacrificing the three God cards: The Winged Dragon of Ra, Obelisk the Tormentor, and Slifer the Sky Dragon. And summoning those monsters isn't easy; they all demand a tribute of three creatures. Still, if you manage to call them out, and have Horakhty in your hand, the duel is as good as over. Horakhty's summon can't be negated, either, so you won't have to worry about effects that can prevent summons. This card isn't easy to play, but definitely deserves its place in the countdown. Third place goes to Destiny Board. This card has an interesting effect: at the end of your opponent's turns, you can place one Spirit Magic card from your deck or hand into one of your magic/trap zones. Once Destiny Board and four Spirit Magics arrive, you instantly win. So what are the drawbacks? Well, first, you need to place the four Spirit Magic cards in your deck. These spells won't do anything except aid in Destiny Board's effect, so they clutter up your deck with quasi-useless spells. Plus, if any of them are destroyed, the others and Destiny Board are obliterated too. Finally, filling up your zones takes four of your opponent's turns. In the old days of dueling, that was plenty of time to win, but nowadays most meta decks can obliterate foes in that time. Rating: 2/5. Once formidable, most players will now struggle to win using Destiny Board. No silly, we're not talking about Europe's hit song, but today's simplest card. When activated, you pay 2000 Like Points. Then, 20 turns later (counting both yours and your opponent's), you win. Final Countdown requires a moderate loss of Life, but it's nice because it doesn't rely on other cards to use. 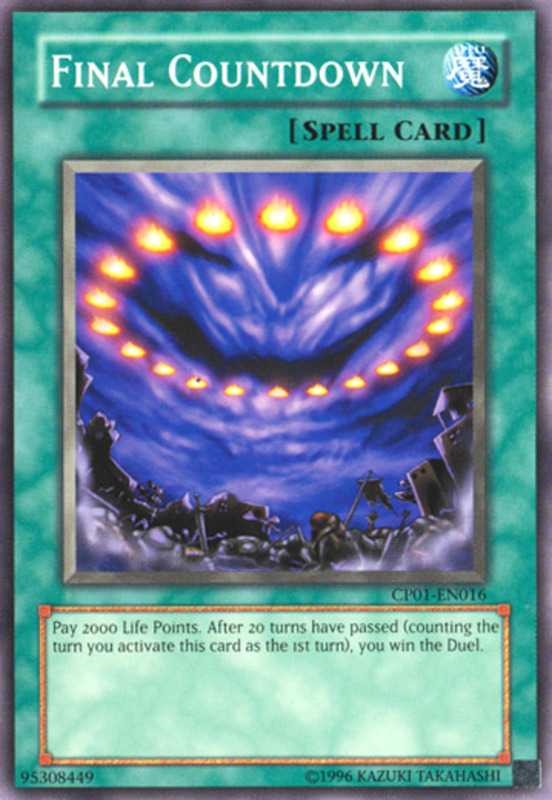 Once you play Final Countdown, it's sent to the Graveyard; unlike Destiny Board, your opponent cannot destroy the card to stop its effect. Use a plethora of defensive cards to stall for time, and you'll win before you know it. Rating: 4/5. 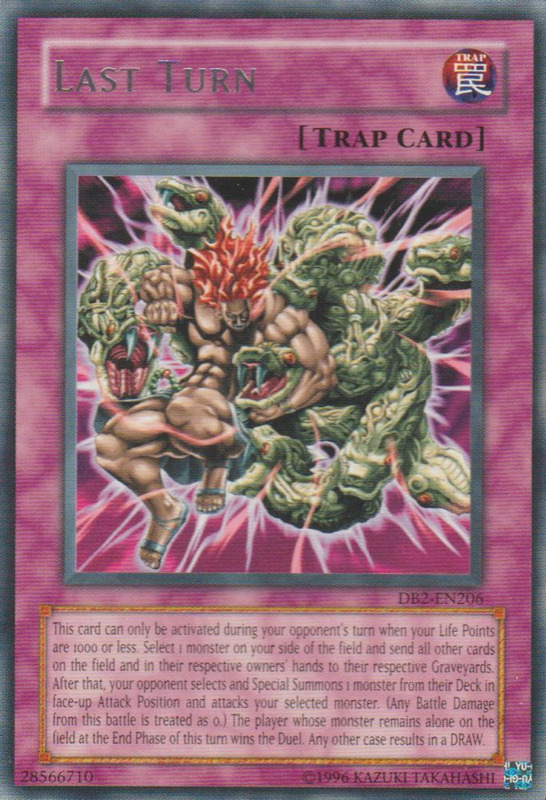 This card takes away your Life, and requires time to activate, but is simple, immune to destruction, and adaptable to several decks. First place has to go to the classic Exodia cards. When you amass his five cards in your hand, you score an instant win. The cards include Exodia and his right leg, left leg, right arm, and left arm. The appendages are normal monster cards with very low attack stats; Exodia himself is slightly stronger, but you're not here for their measly attack scores—you want to keep them in your hand. Many effects can help you bring these cards from your deck to your hand (Gold Sarcophagus, Different Dimension Capsule, etc. ), so collecting them doesn't take too long in the right deck. And if you get really lucky, you could be immediately dealt these five cards when the match begins, claiming victory before your opponent even gets to make a move! 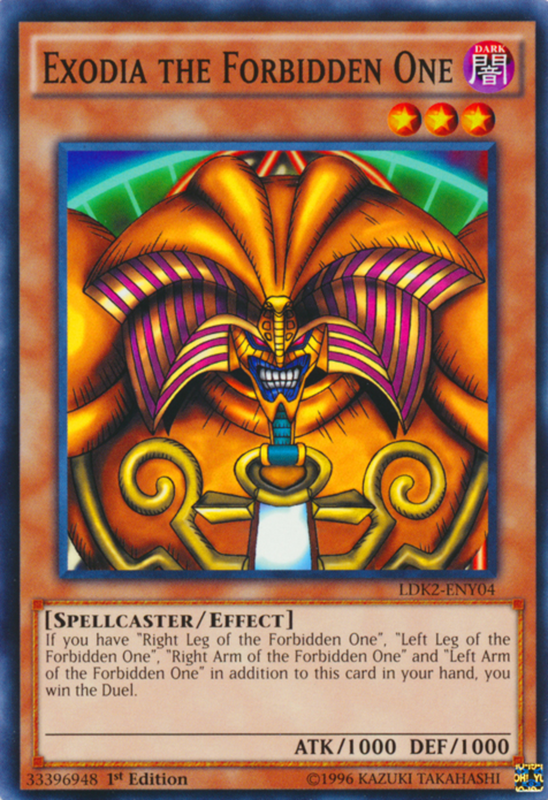 Exodia monsters won't fit well into every deck, but if you center your cards around collecting Exodia and his limbs, you won't be disappointed. Rating: 5/5. Used properly, Exodia cards can remain hidden in your hand as you build defenses and collect them, then score an instant victory. Which instant-win would you use? The Creator God of Light, Horakhty. Vennominaga the Deity of Poisonous Snakes. Remember there are several ways to win a duel; once you can analyze your opponent's strategy, you'll be better suited to counter whatever they plan. Learn to utilize the different paths to victory, and you'll vanquish many a rival. Feel free to vote for your favorite abnormal win condition, and I'll see you at our next countdown! 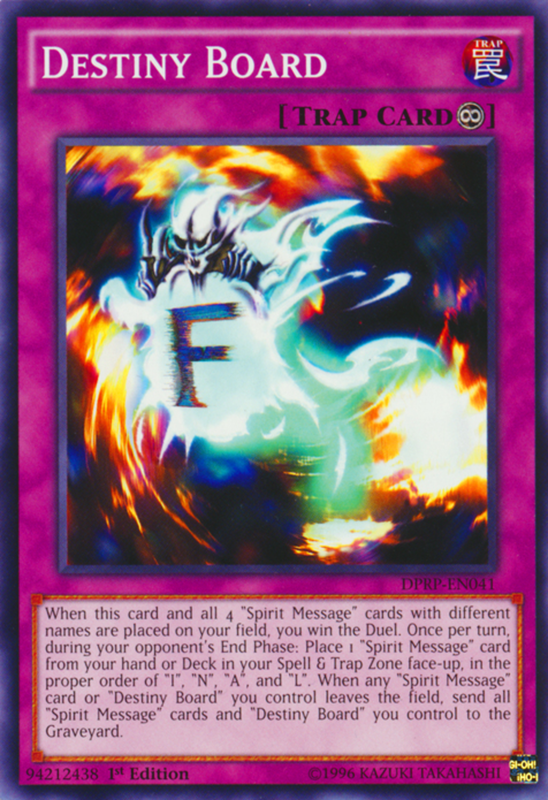 Why didn't you add Exodius The Ultimate Forbidden One as an alternate way to win a Yu-Gi-Oh duel? If you have him and sacrifice 5 Forbidden Ones, you win the duel. He gains 1000 attack points for every monster sent to the graveyard by his ability. So in 5 turns you automatically win. Things aren't quite that simple, but yes, he's an interesting alternate win condition. As this list gradually ages, I hope to retackle a new set of ten more-modern alternate win methods in the future. Exodia's prowess hasn't diminished, at least, and likely never will. What happens if two players have Exodia's five pieces in a Yu-Gi-Oh duel? It's rare, but in these circumstances, the game ends in a draw. 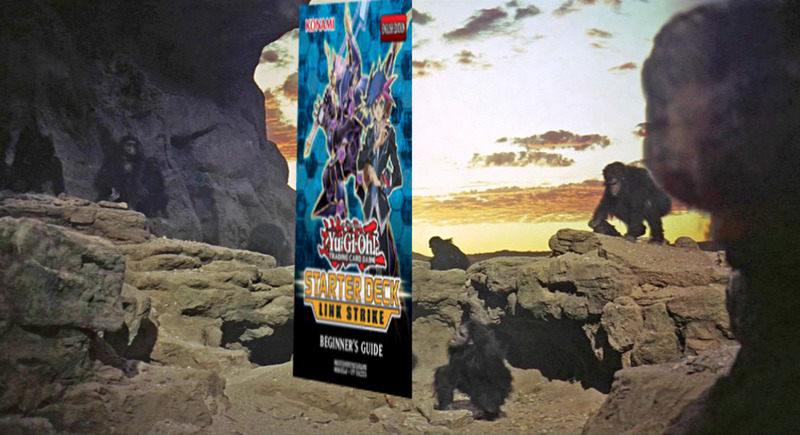 Are there any other ways you can instantly win Yu-Gi-Oh duels? Yes. In addition to running a "mill" strategy that makes your opponent lose by running out of cards in their deck and being unable to draw when they must, several other cards can give an instant win. I won't list them all, but examples include Blackwing - Decay the Ill Wind, Exodius the Ultimate Forbidden Lord, and Number C88: Gimmick Puppet Disaster Leo. How does Destiny Board help win a duel? It helps by letting you win the game. 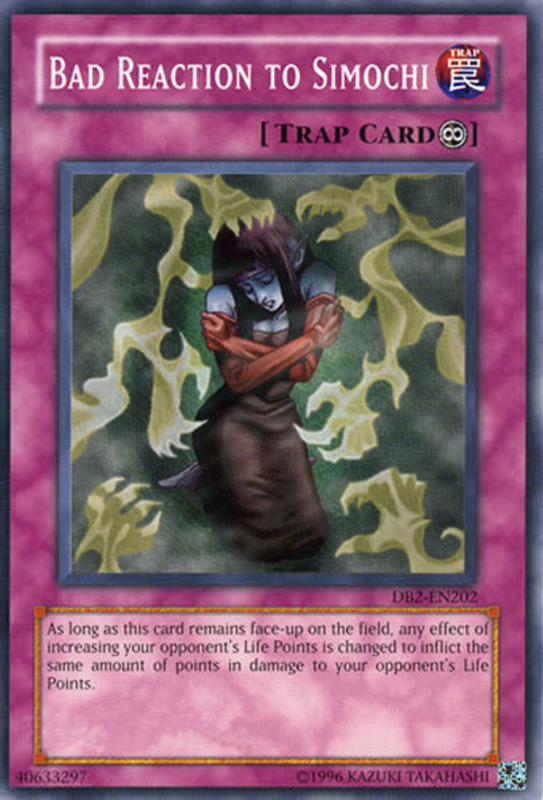 Of course, by now, it's an outdated strategy, but back when it debuted, and spell/trap removals were much less common, it was a viable option. Thank you, I plan on updating the format here eventually. Some entries have definitely aged better than others. 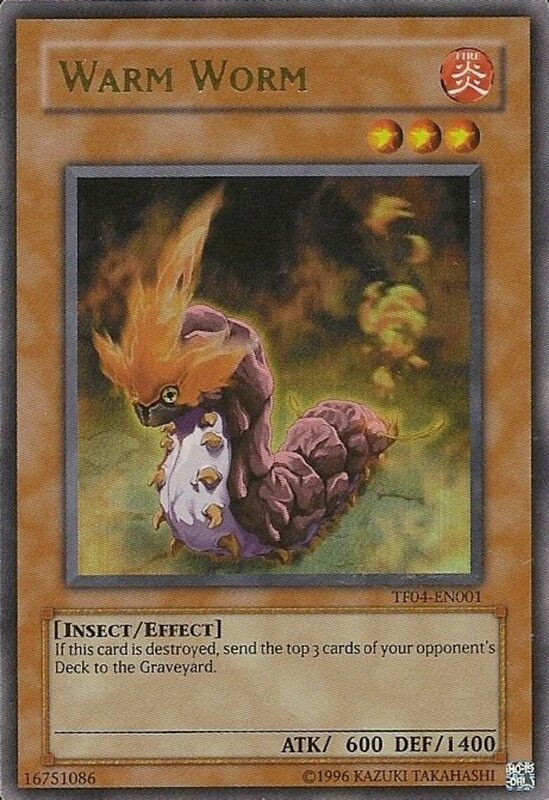 For the current competitive environment, I'd say Exodia, Final Countdown, and Horakhty stand the best chance. Interesting article you got there. Last turn would definitely be useless in my deck. Also Jeremy, could you please tell me, do you use them all or just a few or none?